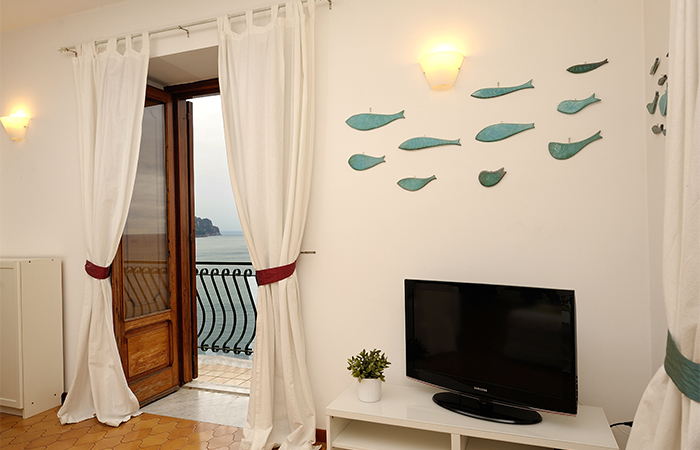 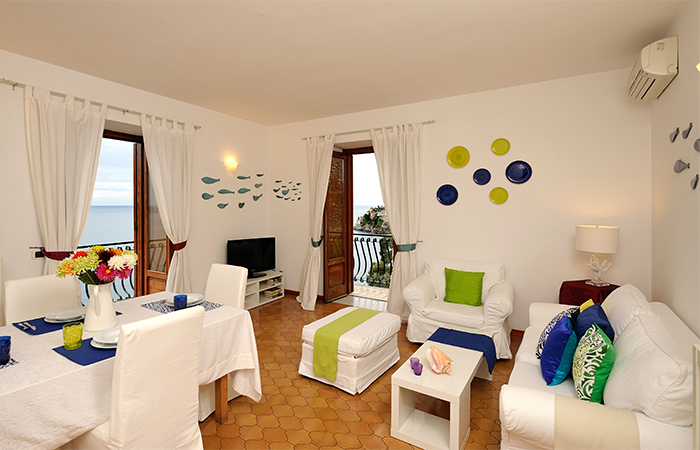 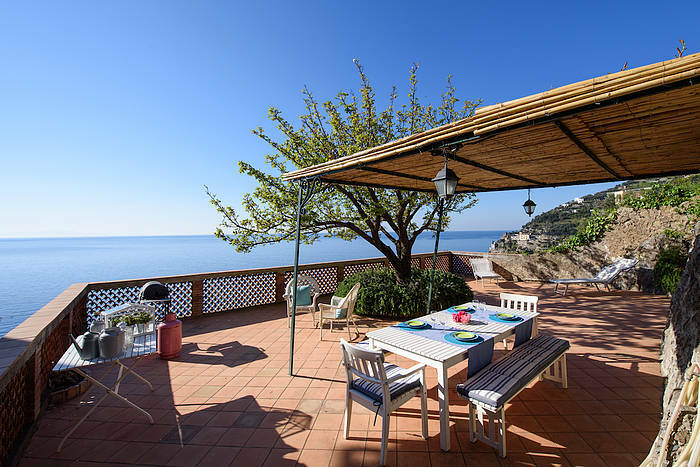 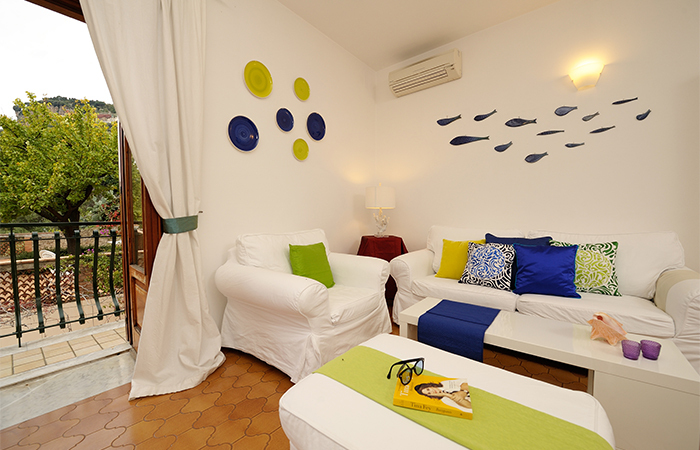 Our fully-equipped and elegantly appointed Albicocca self-catering unit has two bedrooms (with twin beds that can be made up as a double), two bathrooms, a living room with double-sized sofa-bed, a full kitchen, and a large private outdoor courtyard with a barbeque overlooking the sea. 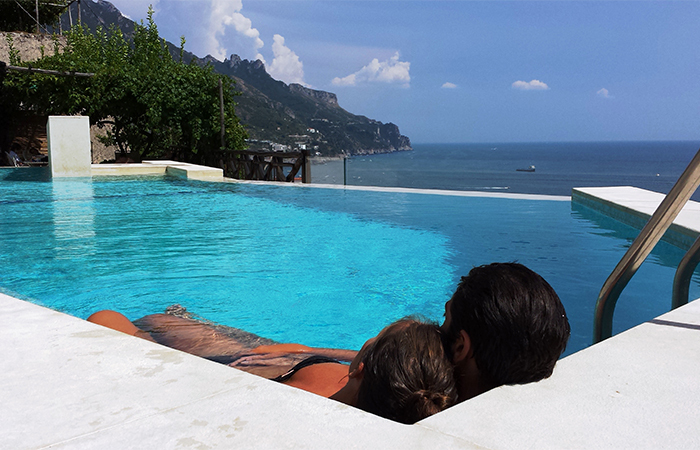 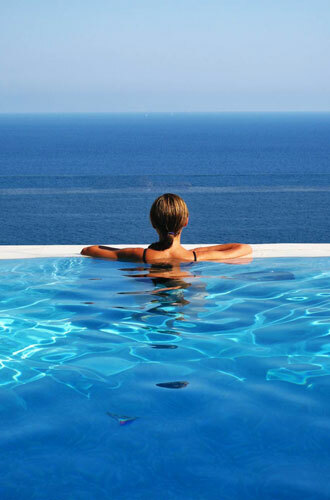 Guests of Albicocca can use the shared infinity pool and large deck of the complex - open from the end of March to the beginning of November, weather permitting. 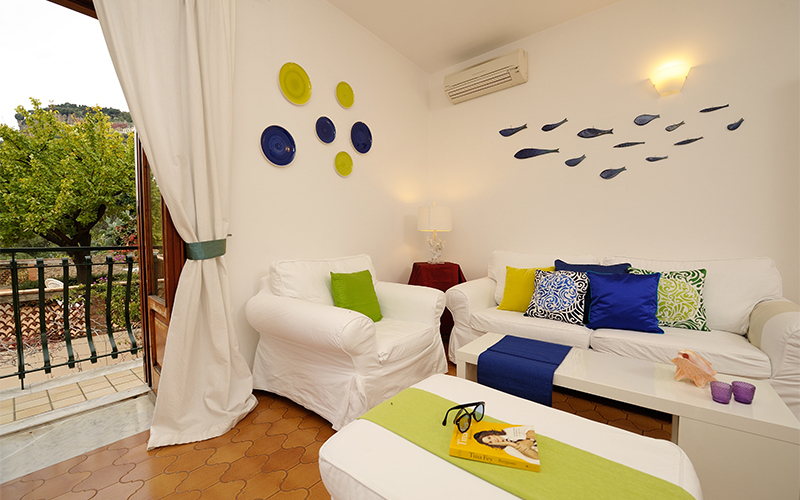 Sun loungers and pool towels are available for all. 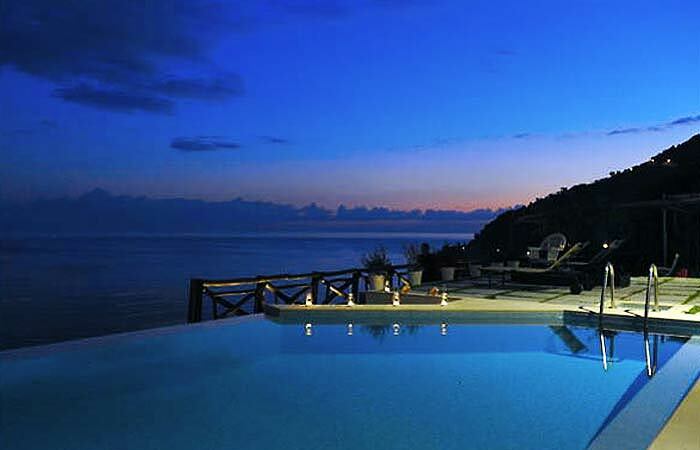 Pool heated during the autumn/spring months. 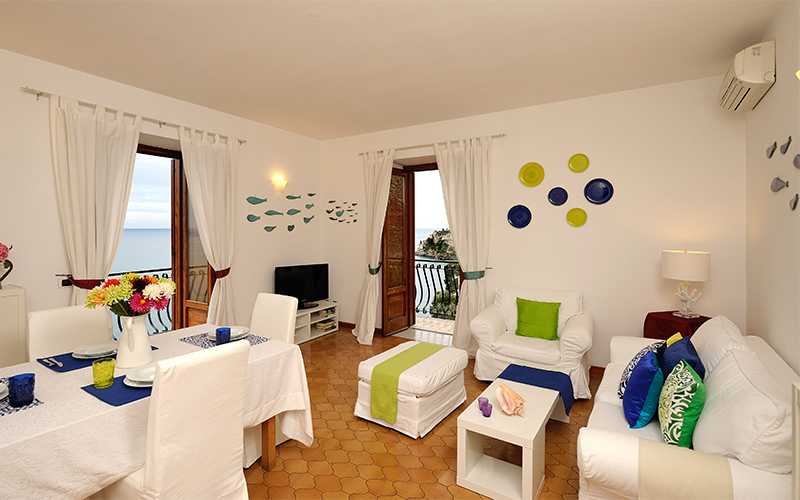 The light and airy living room has three scenic balconies facing the sea. 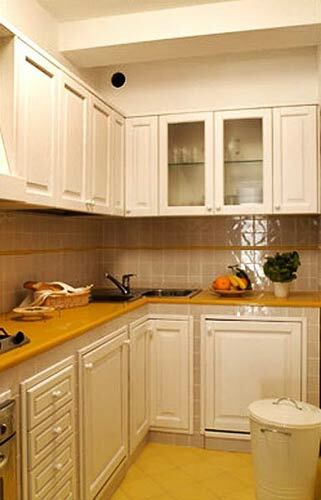 The kitchen is fully equipped and fitted out with a full range of modern electric appliances. 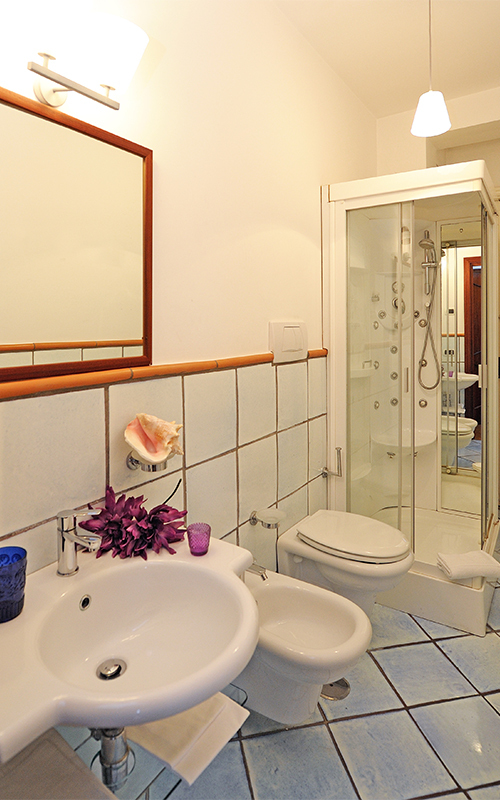 The master bathroom has a jetted shower. 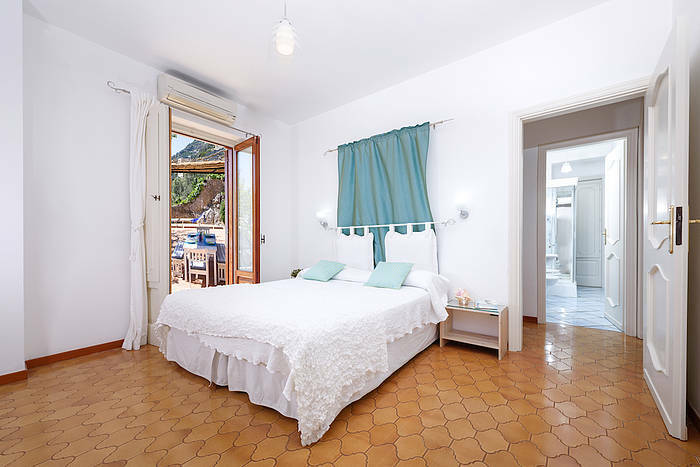 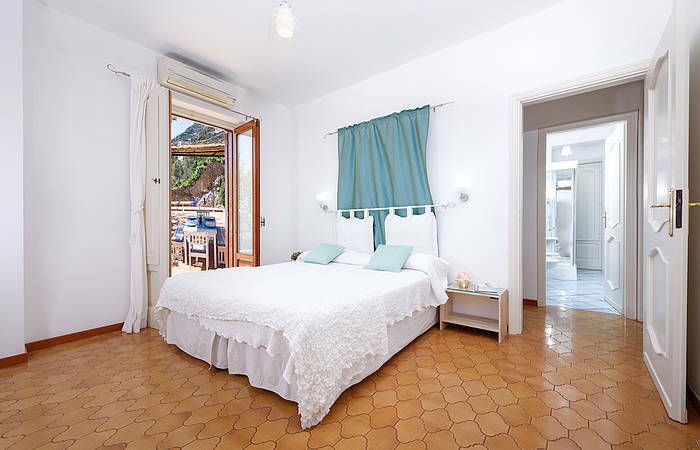 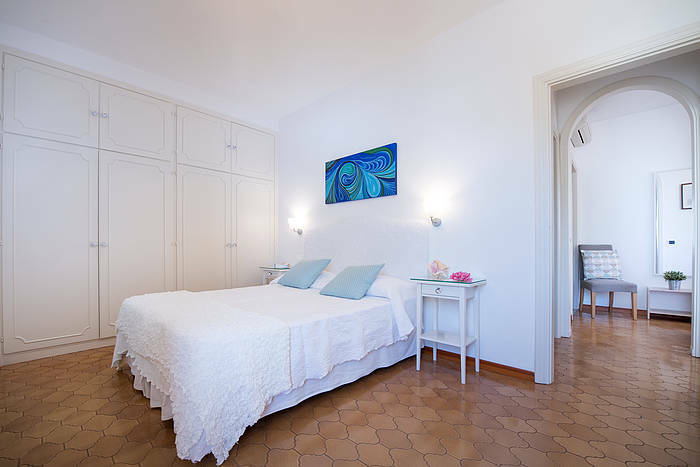 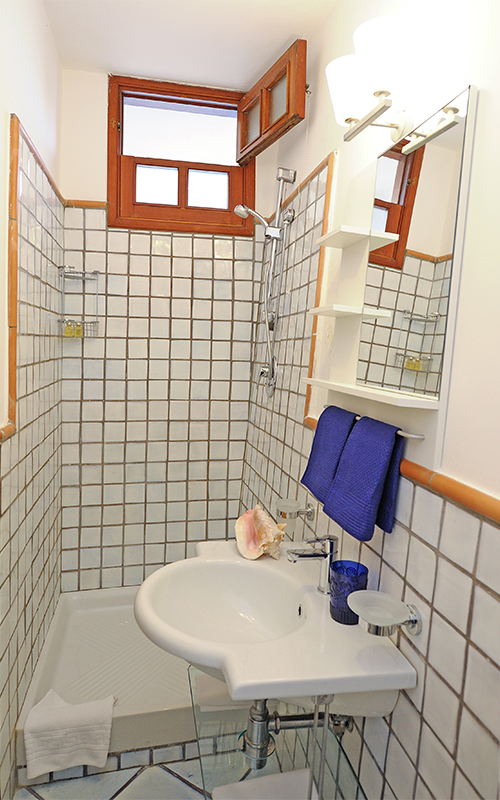 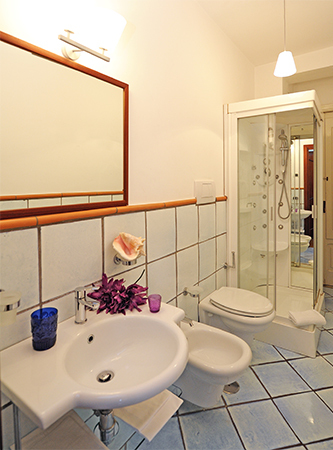 The two bedrooms, one with an en suite bathroom, are furnished with elegance and the bathroom decorated with hand-painted majolica tiles from Vietri. 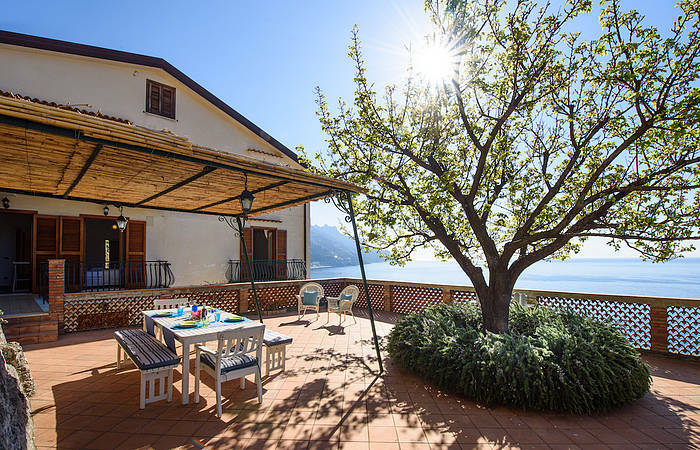 Albicocca's terrace is perfect for dining al fresco and sunbathing in privacy; it is furnished with a dining set and sun loungers. 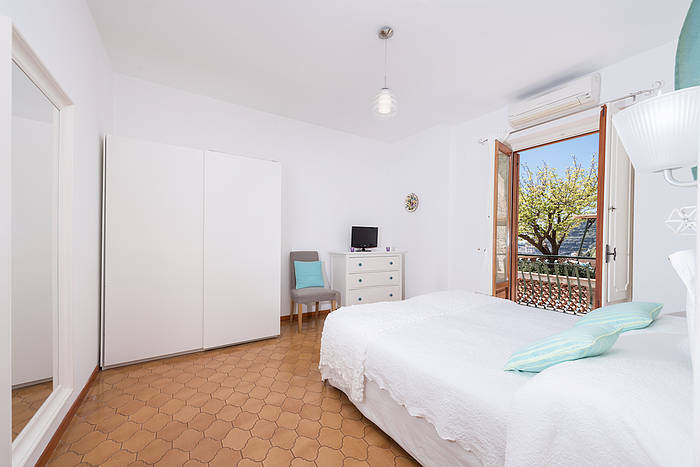 This apartment's many amenities include air conditioning and heat, high speed internet access, a dishwasher, and a washing machine. 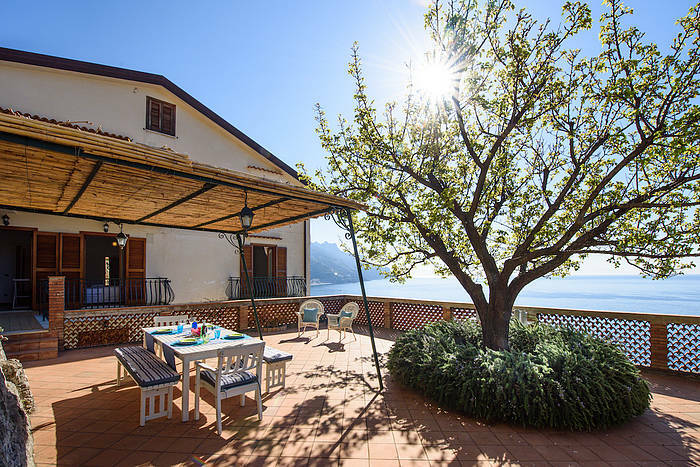 Albicocca is located in one of the most scenic and picturesque areas of the Amalfi Coast: Marmorata, the area of Ravello closest to sea. 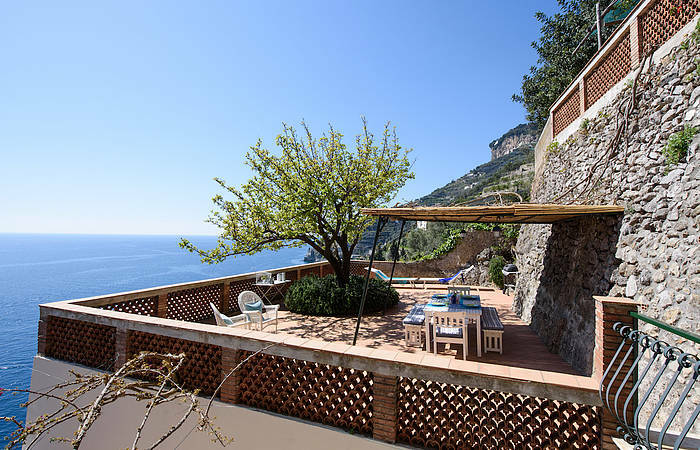 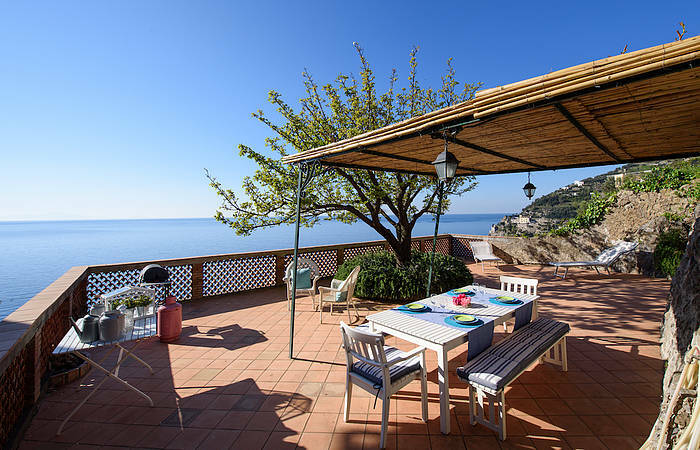 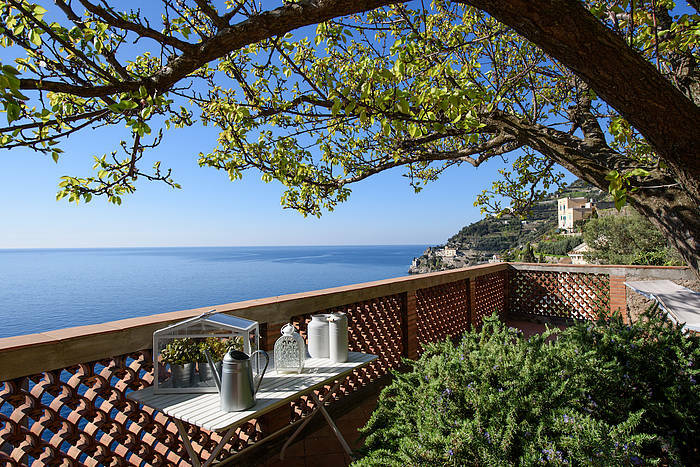 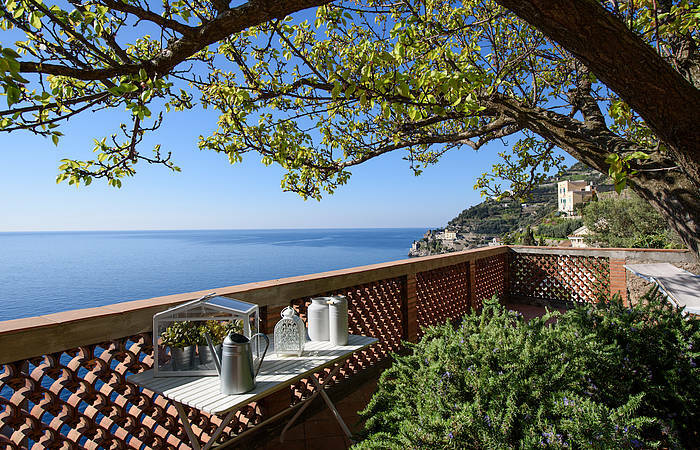 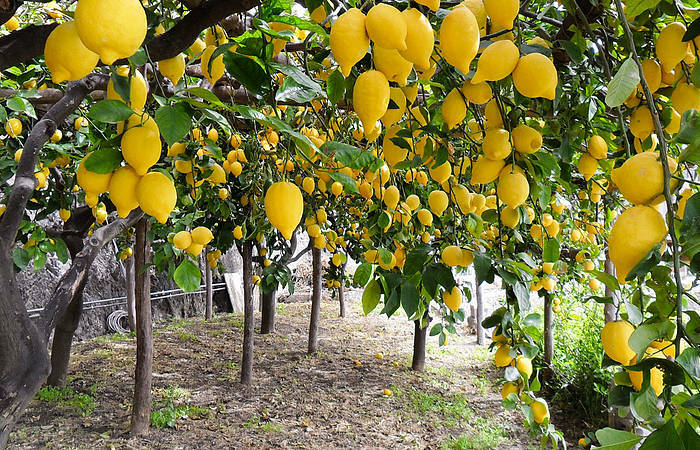 This central location is perfect for reaching the town of Amalfi (1.5 miles or 2.4 kilometers away, or about an eight minute drive). 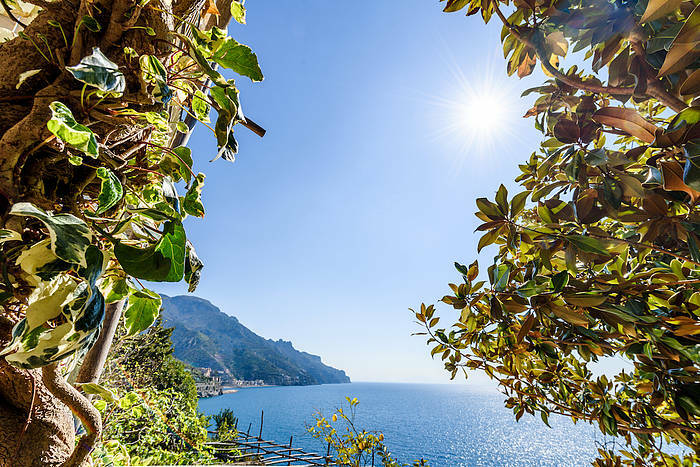 Amalfi is the main town along the coast, and a central hub for public transportation (there is bus stop for the Amalfi line just a few meters from Albicocca). 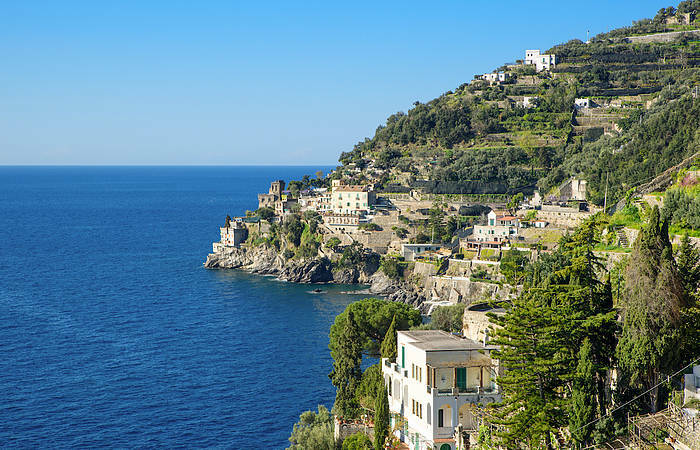 Ferry lines for Capri, Amalfi, and Positano also depart from the charming village of Minori, which is just a short walk from the villa (10 minutes) or a couple of minutes by car/bus. 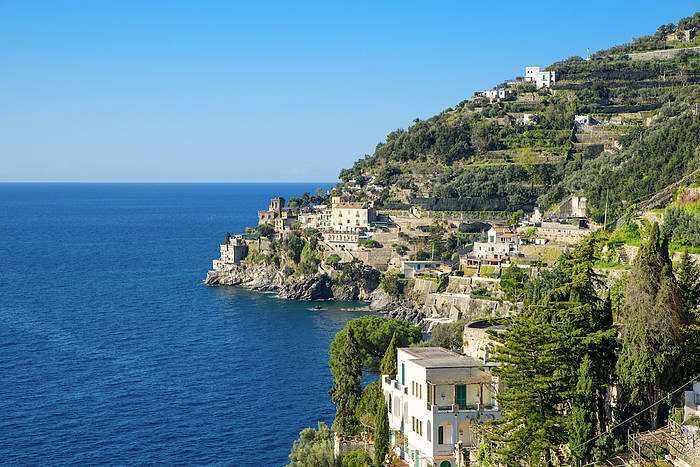 Minori features sand beaches, shops, grocery stores, and restaurants. 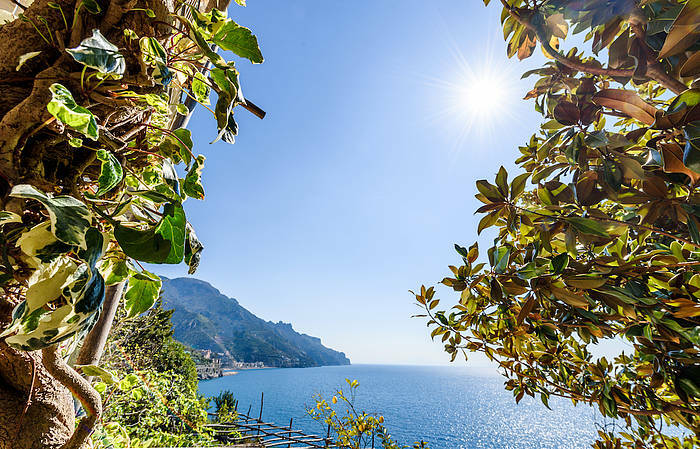 Albicocca is a perfect base to visit all the towns along the Amalfi Coast, and as far afield as Pompeii and Herculaneum. 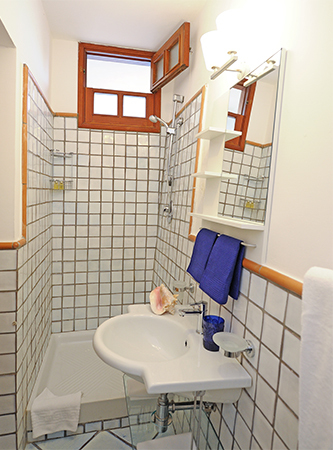 Click here for more information about Minori. 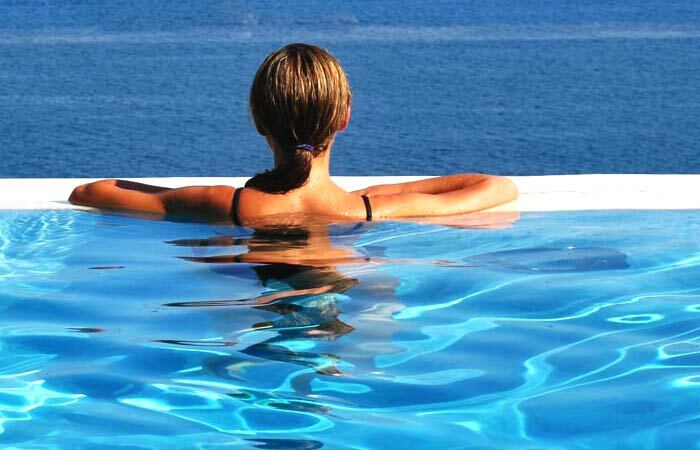 Staff available from 9:00 a.m. to 8:30 p.m. 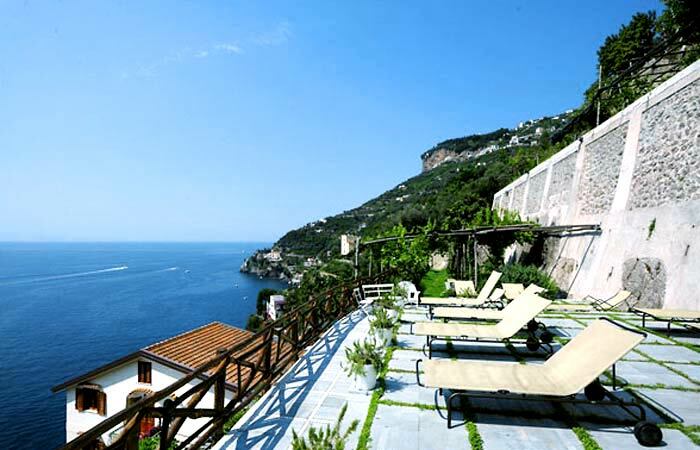 Closest airports: Naples (1,15 hour by car), Rome (3 and a half hours).